Home > News > August 2015 Legislative Update! Following the completion of the general legislative Session begins the off-season, or "Interim" Session. Once a month we meet in committees comprised of both House and Senate members and begin to craft and discuss proposed legislation for the 2016 session. Our latest Interim Session was on August 19, 2015. On that same day, we also had a "Special Session" to vote on various bills (see below). Medical marijuana - Received a presentation by experts in law enforcement, pain management, neuropharmacology, and cannabis research on the physiological impacts of marijuana use and other issues related to state legalization of marijuana or marijuana products for medical use. Parental rights in education - Received the presentation “Data Collection and Parental Rights in Utah” and a presentation on parental rights from parents of school children regarding the Statewide Longitudinal Data Systems Grant Program. Air quality - Received a presentation from the Department of Environmental Quality on air quality and economic development. Thanks to tall the parents / students / teachers / staff for helping to start off a great 2015-2016 school year. Best of luck to all of you!! 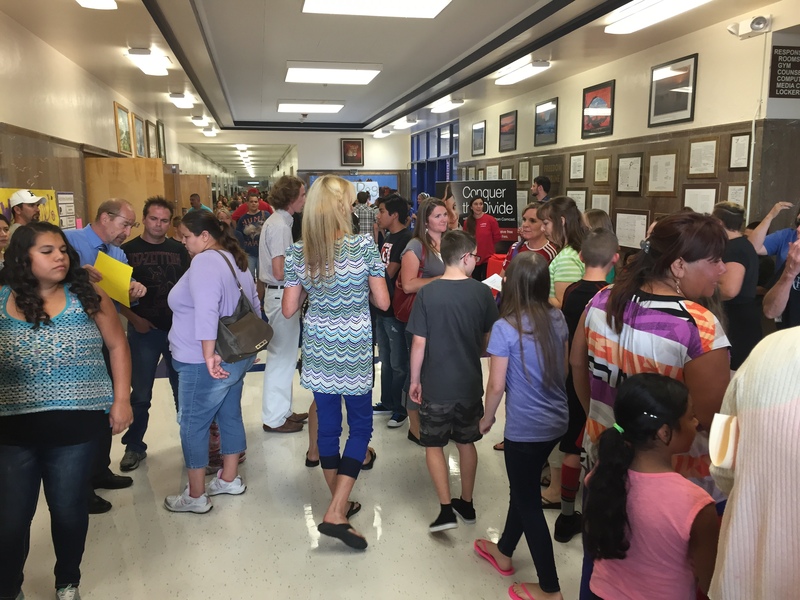 Here's a photo from the Valley Jr. Back-to-School night. 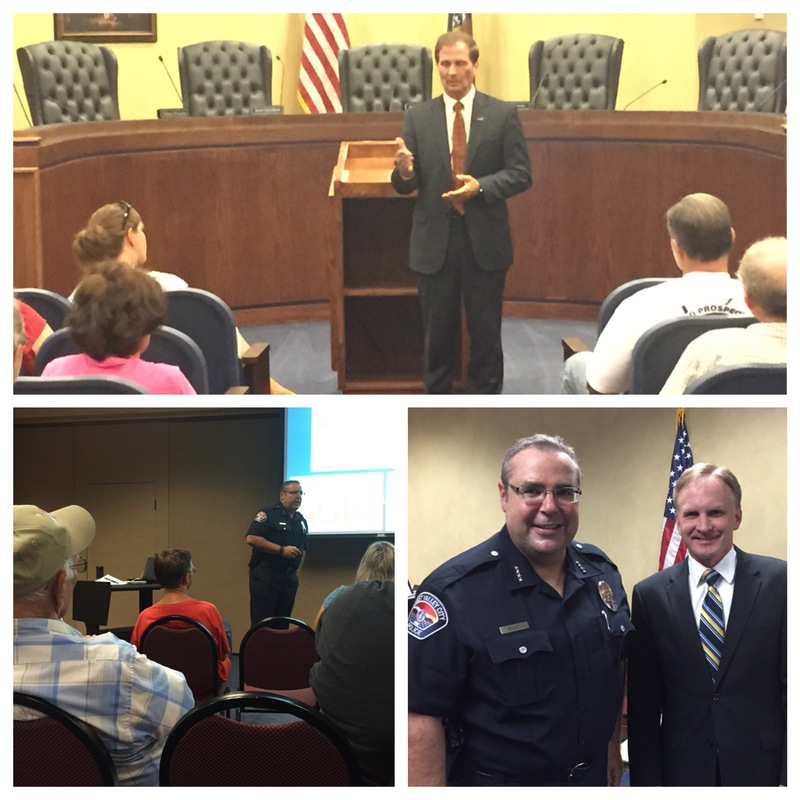 We had two Town Hall meetings in West Valley this last month. One with Congressman Stewart, and one with West Valley Police Chief Lee Russo. Thanks to these two for being willing to talk to West Valley residents about their latest efforts to help keep West Valley a great place to live, work and raise a family. 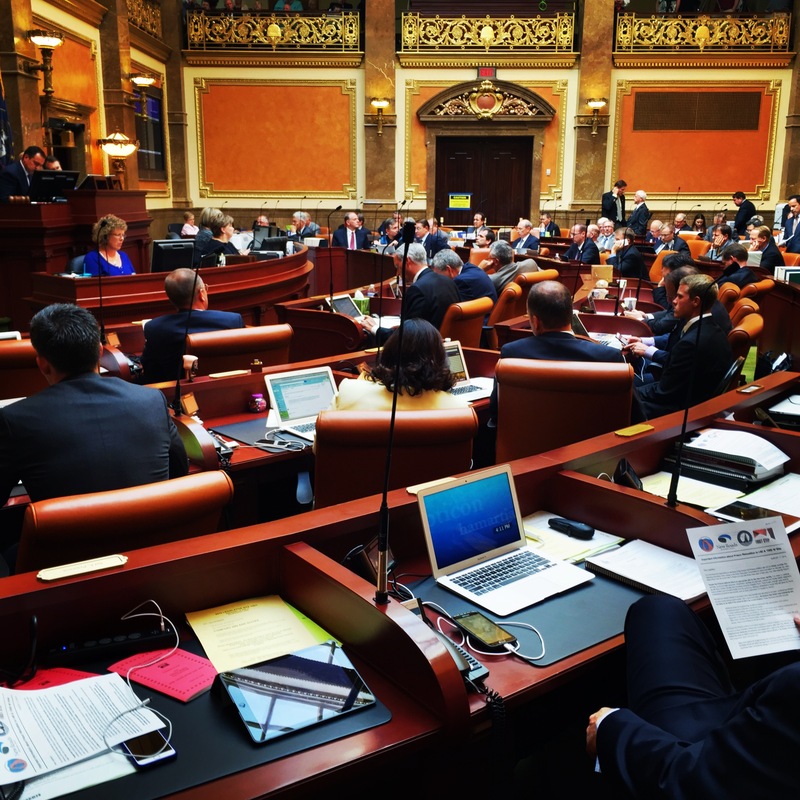 During the August Special Session the legislature voted to move the state prison to the location recommended by the Prison Relocation Commission: I-80/7200 West in Salt Lake City. Thanks to all of you who got in contact with me regarding this issue. I greatly appreciate your thoughts. More information on the process, the data involved in the decision, cost/benefit analysis, and a history of how we got to this point can all be found below.